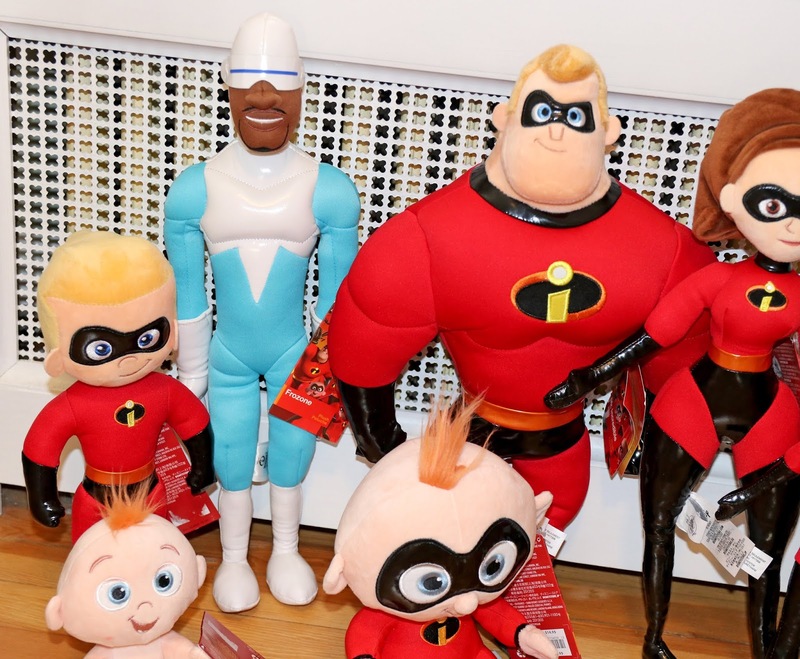 After being over a year late getting my Disney Store Coco plush review up, I didn't want to make the same mistake with the Incredibles 2 plush collection! While these did come out last April (so wow, I am pretty late here as it's almost been a year), I didn't actually receive them until just this past Christmas. I waited for a good sale around the holidays in order to justify grabbing all of them. The best thing is, all of these characters are still currently in stock and easily attainable both in store and online—which is something I couldn't say for the Coco plush. This isn't going to be a detailed review of each plush here. That would get pretty redundant as they're all very similar and equal in make and overall quality. I'll say that these are ALL really well done—from the mixture of materials used to the stitching/embroidered features to the character likenesses/stylization, this is a solid assortment! I don't think I really have any negatives to share, they're your standard Disney Store plush; so if you're familiar with past plushies from the Disney Store, then you know exactly what to expect here. And if you haven't purchased these yet (but want to) you'll be thrilled to know they're all currently on sale for only $10 each! So whether you're looking to get just one, the whole set or complete the collection you've already started, you won't want to miss this deal. Hurry—not sure how long it'll last. 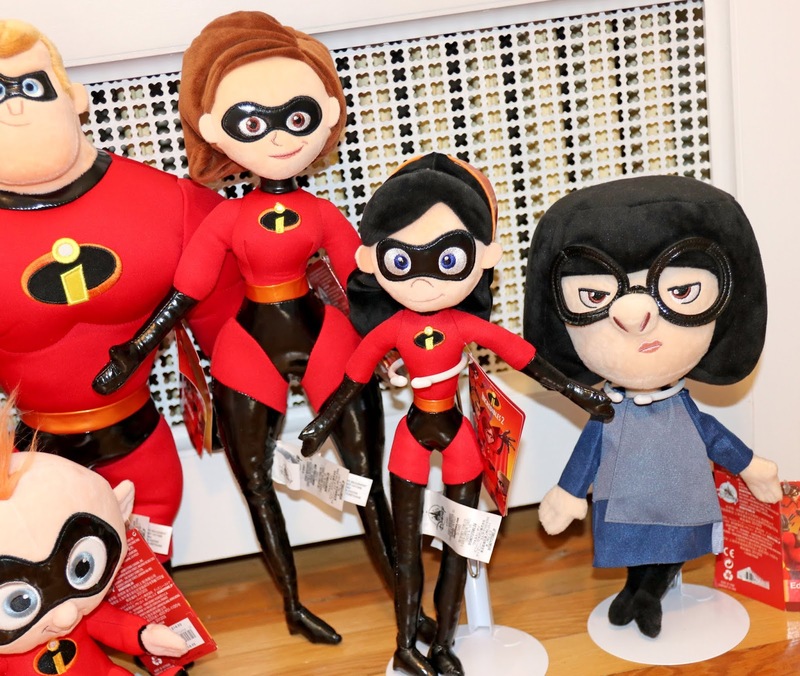 I don't believe an Incredibles plush collection like this was released back in 2004 at the Disney Store, so it's cool the sequel made way for these to get made. 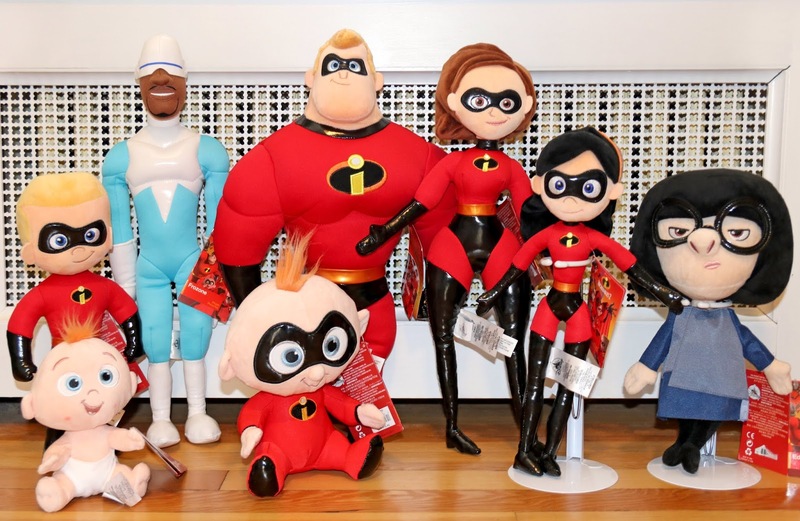 As a big fan and collector of Pixar plush, the lack of Incredibles in my plush collection was definitely felt! In a sense I like that it's just the classic characters released (if it wasn't for Edna's outfit, these could all easily be lumped in with toys from the first Incredibles and you'd never know any better), but it would have been cool to see one or two Incredibles 2 specific characters released here as well. What do you think? Shout out your thoughts down below! Do you have a favorite? Anyone else you wish got made? I'll be excited to hear your thoughts.